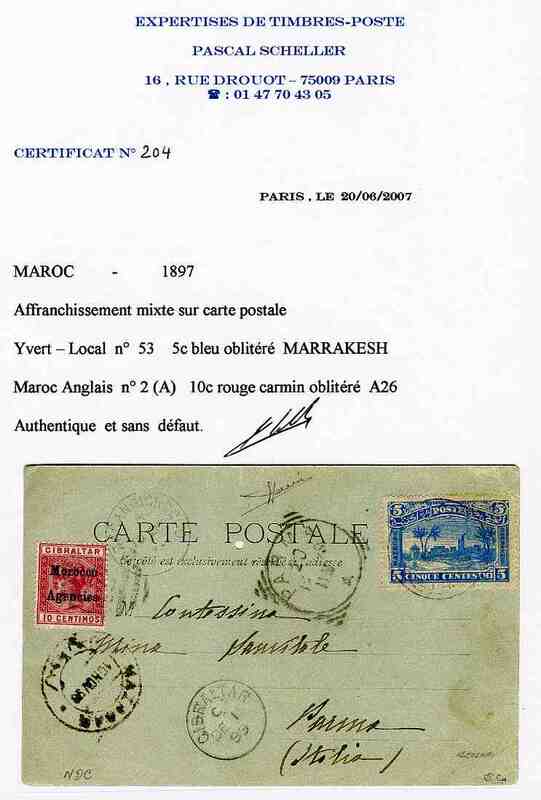 Morocco local post of the English and Italian consulates "Mazagan-Marrakesh" 5c blue (printed by Waterlow London !) 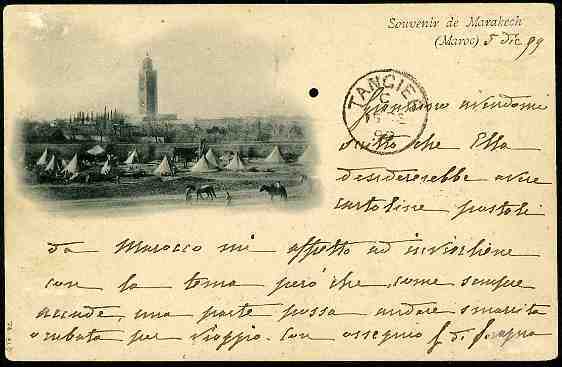 cancelled in violet on picture postcard from Marakech (5.12.99) in mixed franking with Morocco Agencies 10 centimos cancelled "MAZAGAN MOROCCO 10 DE 99" send via Tanger (15.12.99) and Gibraltar (15.12.99) to Parma/Italy (20.12.99). 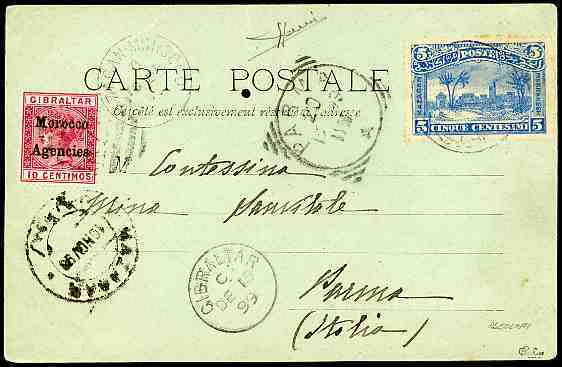 A very fine and rare franking (no such combination recorded by Dr.R.K.Clough ! 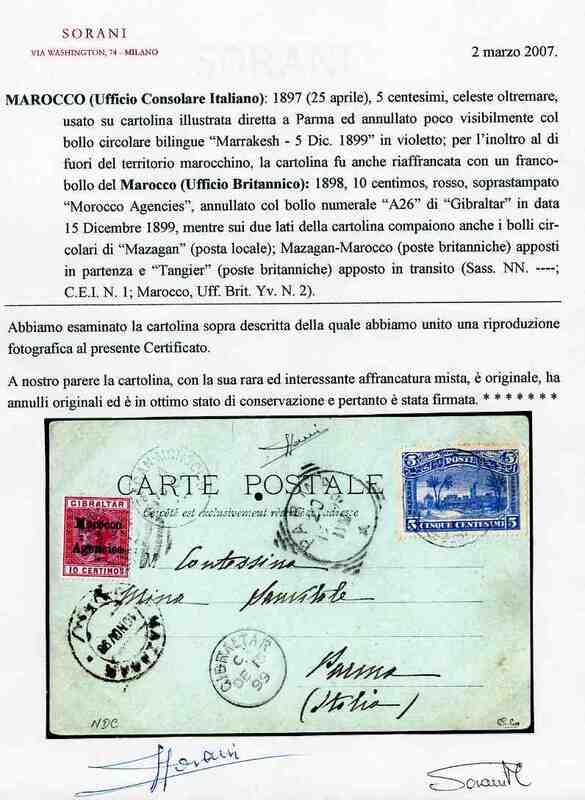 ), signed Roger Calves.